Are you still using a whiteboard or a spreadsheet to track orientation or recruiter goals? If so, you are all too familiar with the problem this presents – mainly, that one person or team is typically assigned to managing and tracking this whiteboard, and that no matter how hard that team works to keep it up-to-date, almost inevitably it will be incomplete, or delayed at best. This is why you need Tenstreet’s Goal Tracking. Without Goal Tracking, this process is frustrating for everybody involved as the information people rely on to do their jobs suddenly isn’t reliable. As you’ve no doubt experienced, this lack of accurate information can have a ripple effect across your company, leading to unpleasant inefficiencies and bottlenecks. You’ve probably guessed where we’re going with this…And you’d be right – Tenstreet’s Goal Tracking is our solution. With Tenstreet’s Goal Tracking add-on, your team can track and report on your company’s goals across any period of time in real-time. Even more importantly, it’s all handled automatically by Xpress – releasing your employees from the headache of trying to keep up with these ever-changing details. Set a capacity goal on an orientation class, or track the hiring productivity of your individual recruiters. If you have a goal, we can track it. Or whatever else you want to do. We do the work for you, because we know you have better things to do with your time. Define your goal and create a message to display to your users when your goal has been reached. Goal Tracking will not allow your users to surpass a goal if you have a maximum value set. Say a driver calls to say he can’t make orientation? No problem, your goal count automatically adjusts to reflect this change. You can even create a goal with a zero limit to prohibit a certain action from ever happening. 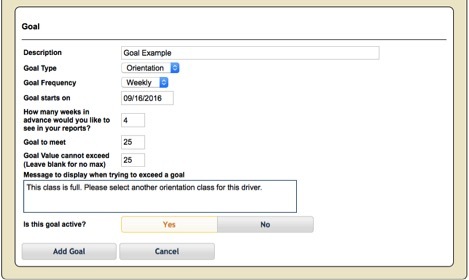 For example, if your trainer is going on vacation and can’t run orientation class that week — set that location’s goal to 0 for that week, and your recruiters won’t be able to accidentally schedule drivers for that particular class. 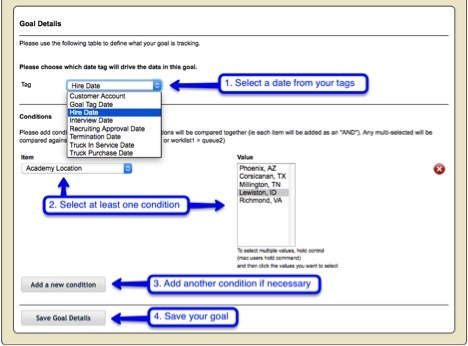 Choose from one of your date tags (Hire Date and Orientation Date are popular choices) to set up one or more conditions around your recruiters, processors, work-lists, and/or tags. Get even more extensive reporting by using Goal Tracking in combination with Custom Report Wizard – make your achievements visible to your teams using custom home page reports, and get deeper insights into your company by easily incorporating goal metrics into your regular reporting. Gain access to two standard goal tracking reports, as well as a goal change log. But, what about my whiteboard? Honor your whiteboard by making it the source of everybody’s content for a change – keep a weekly running inspirational quote, showcase your artistic abilities, or turn it into a DIY air-hockey table. Whatever you decide to do, upgrade to Goal Tracking to help you easily track, manage, and reach your organizational goals. We want to help you calm the ripples in your company – contact sales@tenstreet.com, or reach out to your advisor today! Hi Jeff! Absolutely, I’ve notified your advisor, Meghan. She’ll reach out to you early next week. Thank you for the inquiry! 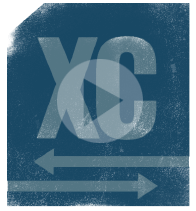 Download the Intro to Xchange Webinar Video! FREE EMAIL UPDATES Get the latest content first.